On June 27th it will be one year since I was diagnosed with Bowel Cancer (BC). If that diagnosis wasn’t terrifying enough, two weeks after diagnosis I was told it had spread to my liver. I not only had BC, I had Stage IV BC. As a Dietitian who has supported cancer patients throughout my career, I knew enough to know that this was the worst possible scenario. I recall reading patients notes with similar diagnoses and thinking ‘how terrible, they are so young, that is so unfair’. And now that patient was me. 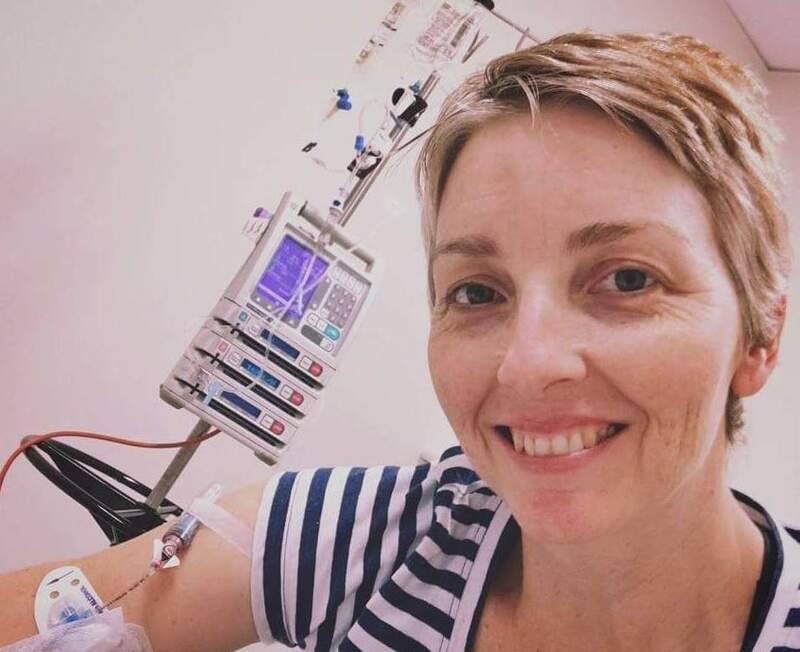 I’m sharing my story with you, as a Dietitian and as an Oncology patient in the hope of giving you further insight into what it’s like to live with cancer and to also raise awareness. June is BC Awareness Month in Australia. Until I was diagnosed I assumed I knew a lot about cancer. I didn’t, not really. Sure, I knew the dietetic management to recommend; I could empathise with patients but did I really understand? No. Until you live with this diagnosis I don’t think anyone can truly ‘get it’. BC is the second biggest cancer killer in Australia (after lung). Every year over 4,300 Australian’s die of BC. Screening for BC commences at the age of 50 but more cases of people under 50 are being diagnosed every year – 2,186 people under the age of 50 are expected to be diagnosed with BC this year. So here’s my story – I was 41yrs old at the time of diagnosis. I had no past medical history to speak of. I had no risk factors and no immediate family history but I was diagnosed with cancer. Symptoms of BC include blood in stools, weight loss, fatigue, abdominal pain, unexplained anaemia, frequent gas pains or cramps and altered bowel motions. My symptoms were altered bowels for approximately two months which could have easily been attributed to a recent change in my diet. I also had fatigue, but then I have a young child so exhaustion was nothing new to me. Could I have known earlier? No. And that’s what makes BC so terrifying. Many people simply do not have symptoms, and often when something does raise a red flag it is already too late. 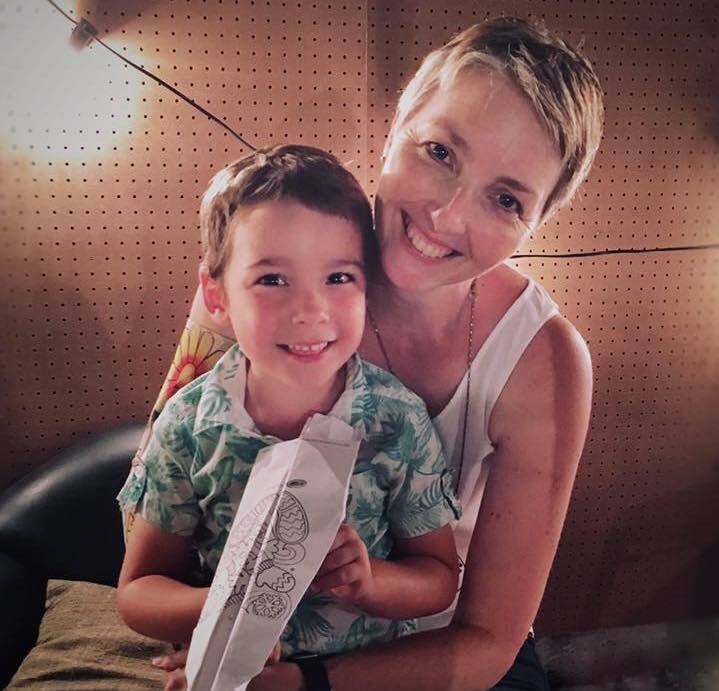 After being diagnosed all I could think of was my four-year-old son growing up without his mother and my husband growing old without me to annoy him. Of course I googled and of course I shouldn’t have. I’ve since been told that ‘the first rule of BC survival is to not google BC survival’. This advice could not be truer! -After diagnosis it took a month to commence treatment. A month of not knowing what is planned or when it will start means a month of extremely high anxiety. And trying to eat or sleep in this situation is virtually impossible. What helped me was getting outside for fresh air, walking around the house while I ate and a pharmaceutical aid for sleeping. I didn’t want to take any medications, and was advised not to by an RMO, but ultimately it was needed and I’m glad it was an option. – Radiation treatment is not covered by Private Health Insurance in anyway. Zip. For 28 cycles of treatment the cost was $26,000. Medicare come to the party and covered around 80% of this but you need to have these funds to cover it initially. Just let that sink in. You’ve been told you have advanced cancer. You’re not working due to the shock and waiting for treatment to start. And the treatment to help save your life will cost you this much just to start. – I got my first tattoos! Tattoos for radiation are required to ensure the machine always targets the correct area. I needed to drink exactly 375mls of water and hold this before every treatment to ensure my bladder was not in the path of the radiation. Whilst on 5/7 radiation I commenced neoadjuvant chemotherapy that was 24hrs/day. I returned to work part-time, popped out to be ‘zapped’ every day and wore my ‘chemo capsule’ in a very unattractive bumbag while seeing patients. Treatment has come a long way and I was grateful to be able to work during this time. – I got a lot of PICCs. I still have a PICC line in situ today. PICC insertion isn’t too uncomfortable unless your veins don’t participate and it takes several attempts to insert. Explaining to my son why I had a PICC, and why I couldn’t swim with him, was more difficult. – Radiation side effects were worse in the last week of treatment and for two-weeks post treatment. I experienced chronic loose bowels with significant PR bleeds and was unable to sit down comfortably for long periods. And I was quite simply exhausted. – During my initial chemotherapy my appetite and taste was not overly affected. However, when I commenced on FOLFOX, which was required after radiation ceased, I experienced the whole array of side effects including nausea, vomiting, peripheral neuropathy, dehydration and fatigue. Nausea was the biggest issue and even now I can’t look at foods or even books I read during treatment, without feeling ill. So perhaps eating my favourite foods during treatment wasn’t the best idea? I was unable to drink cold fluids for 48hrs after each dose as my jaw would cramp and my throat closed over, a sensation I named the ‘Darth Vader affect’. Trying to meet my fluid requirements was tough but I found that my taste changes were worse with dehydration so forcing myself to drink was required. – When fatigue hits it is impossible to consider moving from the sofa let alone doing exercise. My Oncologist often encouraged activity and I would simply nod in agreement knowing that it wasn’t going to happen. I’m sure some patients may be able to do more but for me it was simply getting through a day of work and doing my best to be a normal mother. – Getting ‘Stuey the Stoma’ was my next hurdle. I underwent an ultra-low anterior bowel resection and was an inpatient for 11 days. I will never take my abs for granted again! Prior to surgery my team prescribed Impact Recovery oral nutritional supplements which were terrible initially but improved over time. I woke with 37 staples down my abdomen, a catheter, an abdo drain, stoma drain and IV line. Try going for a walk with all of that! I was like a turtle stuck on its back for at least 48hrs. And what have I learnt from having Stuey? I don’t chew my food well at all! I watched a full mushroom slice appear and was reprimanded by my surgeon for not chewing thoroughly. Stuey also requires practice and patience. I’m not sure how older patients with dexterity issues cope, I’m in awe of those that do. Oh, and Loperamide powder from capsules mixed into fluids and foods tastes disgusting. Give it a try. I gave this up and simply take the capsules. I’ve watched my output and no capsules have appeared. Granted it’s probably not as effective but it’s better than not taking it. – Adhesive removal spray should be mandatory in all hospitals. I’m relatively young with good skin integrity but after having numerous drain dressings removed in the space of a few hours, things were painful. I requested the nurses use my adhesive removal spray provided by the stoma team for my ileostomy, and good-bye pain and risk of skin tears. – Team work has never meant more to me. Where possible I had all of my treatment at the hospital where I work. The care I received from all staff was first rate and my dietetic team were, and still are, very much involved in my progress. I had personal ORS delivered (it works wonders by the way), snacks arranged (too many snacks can be overwhelming though) and nourishing foods cooked to support my family and I so we could concentrate on keeping sane and having hope. I can’t say enough about having such support. Working in healthcare can be a blessing and a curse in this situation. I know to ignore the fake cures and promises on the web, I don’t believe that ‘big pharma’ has a cure for me but they refuse to share it, and I’m confident enough to question my treating team and advocate for myself. But I also know that statistics and research facts can’t be ignored. And those facts currently say that my odds of seeing old age are extremely poor. But I’m hopeful that with medical advances I will beat the odds. Just recently Bowel Cancer Australia announced a major boost of $10.4 million to establish a professorial chair of BC research at the University of Sydney to advance research in this area. This is much needed and long overdue. So what now? I’m happy to end on a high note. My last CT scan indicated ‘no evidence of disease’ so I am officially in remission. How long will this last? Maybe a few months, maybe many years. But I’ll take this win and enjoy the moment. At the same time my results are bittersweet as I learnt that a nurse colleague, who was diagnosed shortly after me, has not responded so well to treatment and is now terminal. And it is for this reason that I will continue to do what I can to raise awareness and fundraise to ensure further research into treatments is possible. What can you do? Many of you may have read this and not been surprised by my experiences. Some of you may have experienced cancer first hand and have your own stories to share. So, I want to emphasise that this is my story. And what I have learnt will influence my dietetic practice and perhaps it might have an impact on yours. Certainly, if you see patients who continue to report symptoms that have not been attributed to other gastrointestinal conditions, encourage them to be checked for BC no matter what their age. The symptoms are the same. 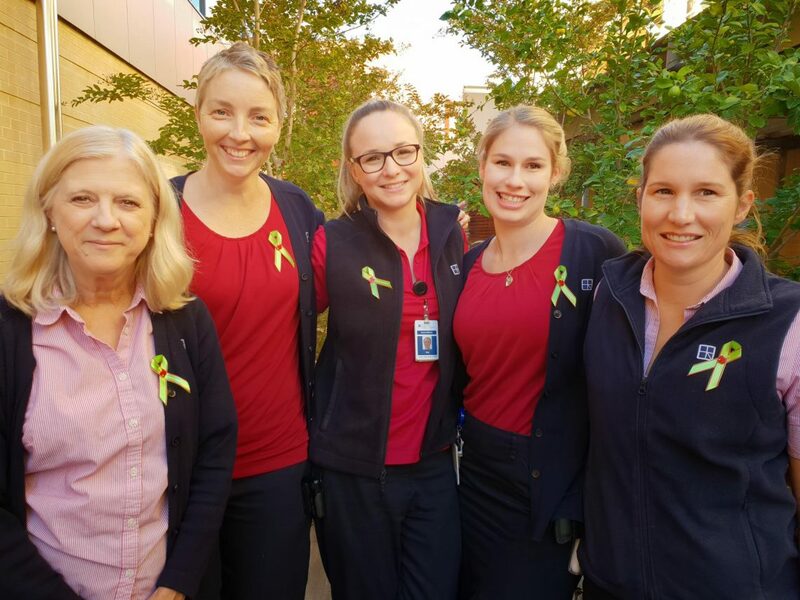 And finally, given it is BC Awareness Month, please consider supporting this cause to raise awareness – pop over to the Bowel Cancer Australia website to see how you can get involved or make a donation via the link below. Wouldn’t it be something if together we can help improve the odds for BC patients? Wouldn’t it be something if your input helped save a life? Take it from a cancer patient – if you’re ever in this position you’ll be grateful for any small act that may allow you to see another day.